… is what cows in the dairy industry also want. Experience shows that a clean and sanitised feeding table results in more milk. At our exhibition stand at the “EuroTier”, which takes place from the 13th to the 16th November 2018 in Hannover, we will be presenting the quick and clean solutions offered by our Silikal coatings. Time is precious: Refurbishment can take place as soon as the morning feed is finished – with the Silikal system everything can be ready in just 6 to 8 hours. After which the farmer can carry on feeding the cattle. 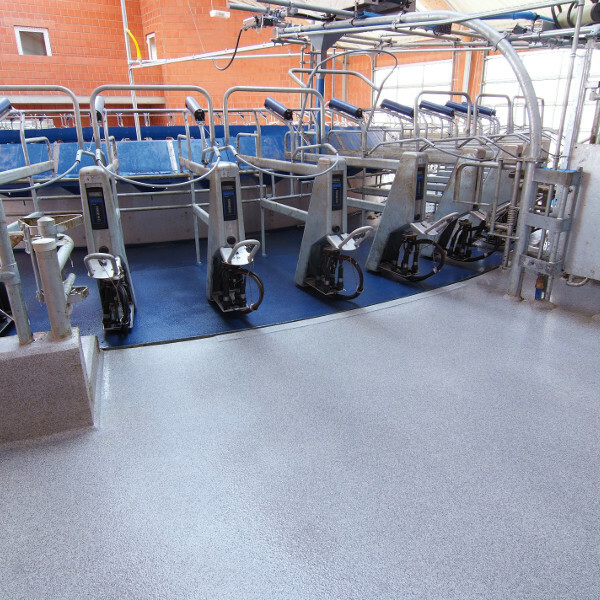 Other areas of application in farming are also possible, such as the refurbishment of milk parlours or milk chambers during active operation. In attending the “EuroTier”, main aim is to appeal to farmers who are planning the new construction or refurbishment of their livestock facilities. In cooperation with our qualified flooring applicators, who are familiar with the special requirements in agriculture, we are able to offer farmers a quick, clean and economic solution. You will find our exhibition stand in hall 15, stand H18.